dang sir, some beautiful wings. LE's attached to Scrapestry and Purple Fade now. Center sections for the other 3.. I finally figured out what was niggling in the back of my brain. I felt like every time I looked at your sails there was some observation that just wouldn't come to the front of my thoughts and it was bugging me. It was the photo of three that finally sealed the deal for me....they are beautiful and symetrical but not symetrical too. Stay with me - the layout is symetrical, but the color at the bottom of the same like on the left was the opposite color on the right. So if the line was yellow and blue alternating it was that on both sides, but the bottom color on the right might be blue and on the left it is yellow. My brain was clearly working hard on that. Wow. Ok. All better now. @ACrop You are absolutely correct.. 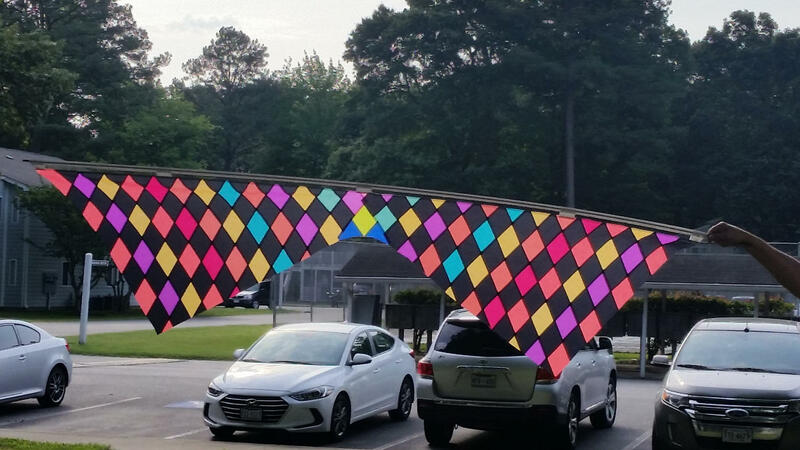 The colors are "balanced" but not symmetrical.. 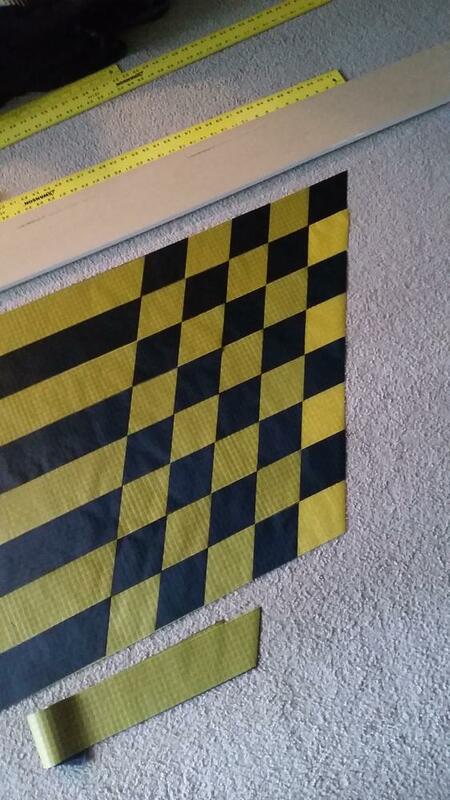 The build process involves cutting the strips and swapping every other one between halves. Coincidentally, the build process also ignores front and back side of the material. 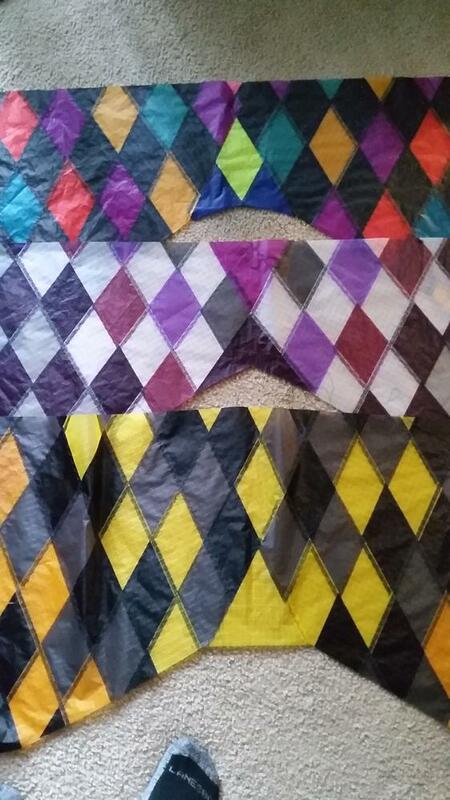 It's also that same non-symmetry that makes the center section a bit more challenging since I have to add an additional color there to avoid two of the same color edge to edge..
To make a symmetrical sail, I have to make two (or four) and swap halves once they are all basted. Wish I could be there to see them fly! 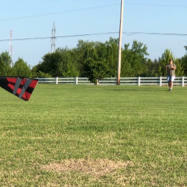 First Flight was spot on for all 3 diamonds sails.. 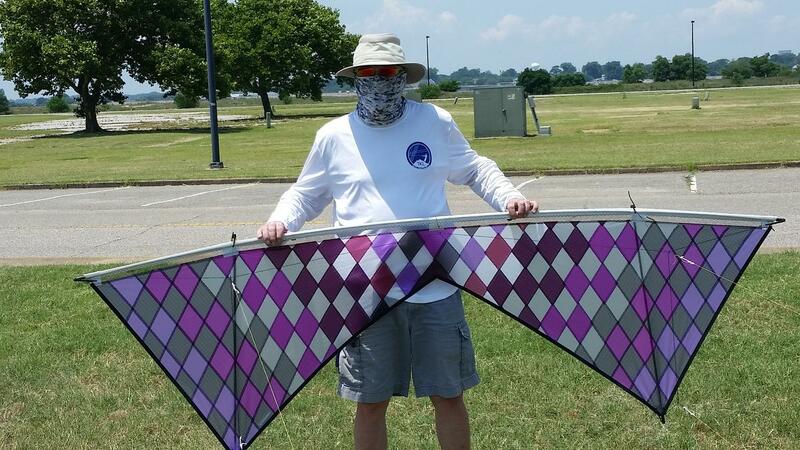 Winds were below 5mph until after lunch. 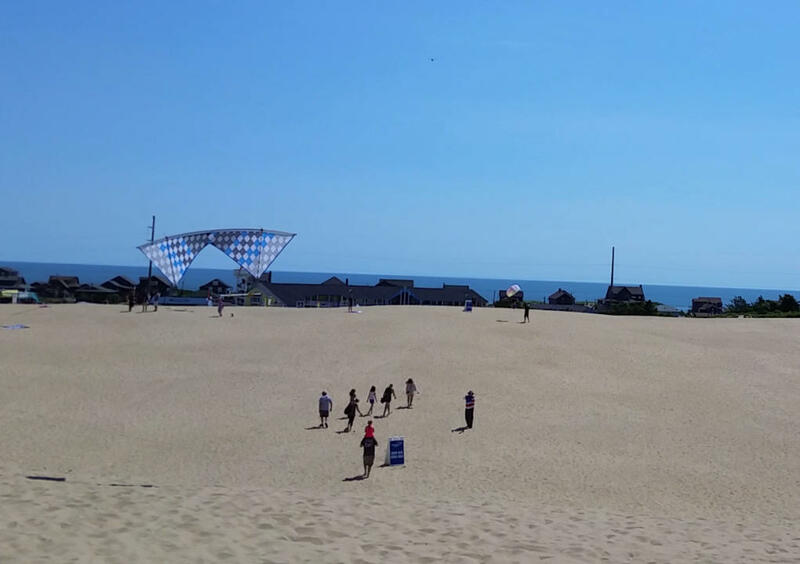 After that is picked up to around 8MPH.Great light wind day and perfect conditions to test these sails out..
@jeepinjeepin walking by at the 50 second mark. 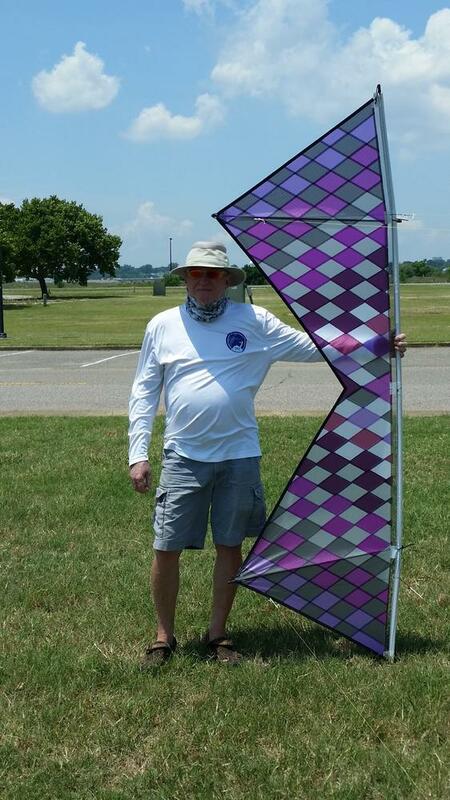 @Bill Clay Displaying his Phantom at the 4:20 mark.. All in all I was very pleased with the way each of these sails performed from the beginning. 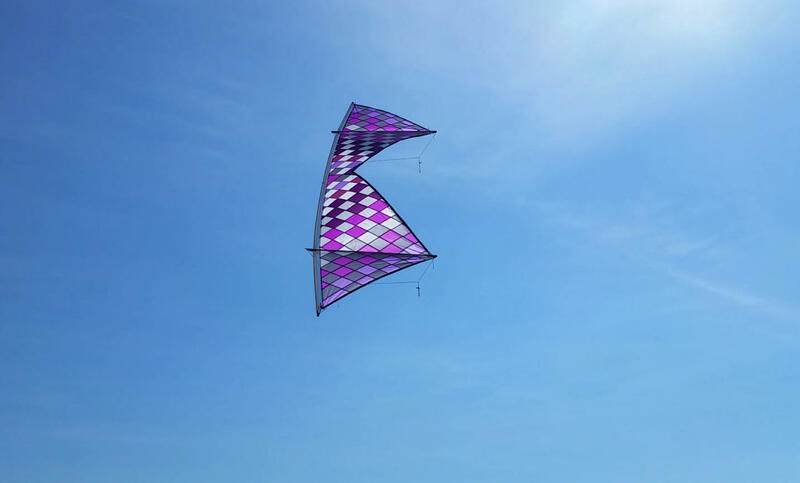 Everything was well balanced and had very good low wind performance.. I really like the sparkle of this particular sail. 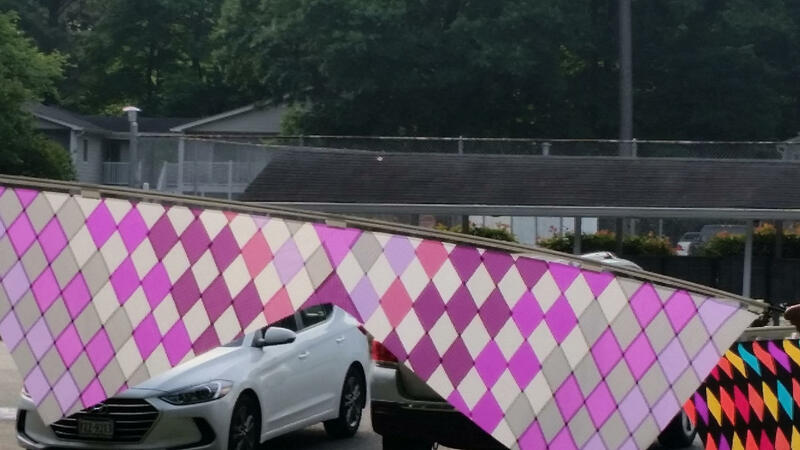 That purple one sure is a beautiful sail. It does have great sparkle to it. I noticed that you have changed the belly shape a bit, rounded it and seems a bit shorted vertically. What led to those changes and how does it feel in the air? Wish I could have been there to fly it. Kinda glad I was so far from such temptations. More Icarex arrived today.. Stay Tuned!! Where do you buy your Icarex? 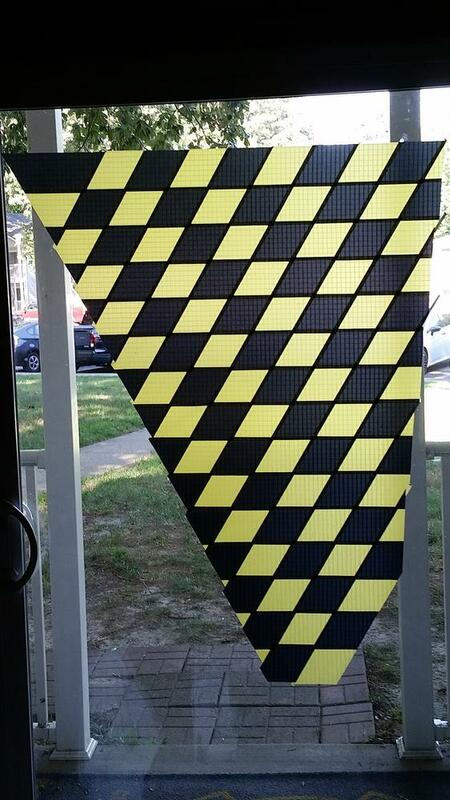 Initial mockup hints at the final look for this commissioned sail. This one will be symmetrical and will have a few extra bells and whistles.. LE on this one will be black. Basting will be this weekend.. This being a commissioned piece, the owner will get to name it as he sees fit. And the first of 4 panels is basted. 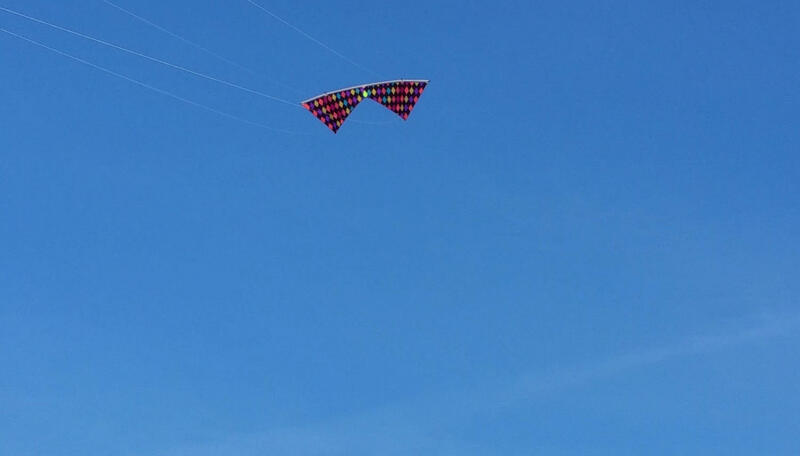 Having to change my pattern plan slightly because the kite was requested to be a exact 1.5 size.. 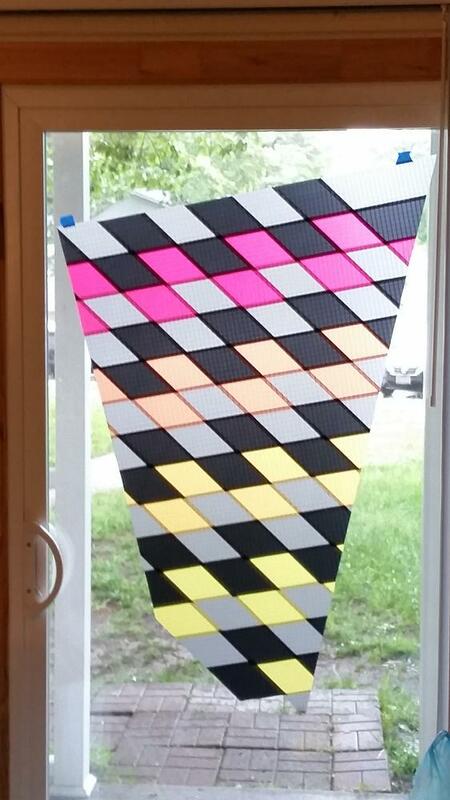 Required me to grow my pattern plan by a few inches to accommodate..
Making Progress.. 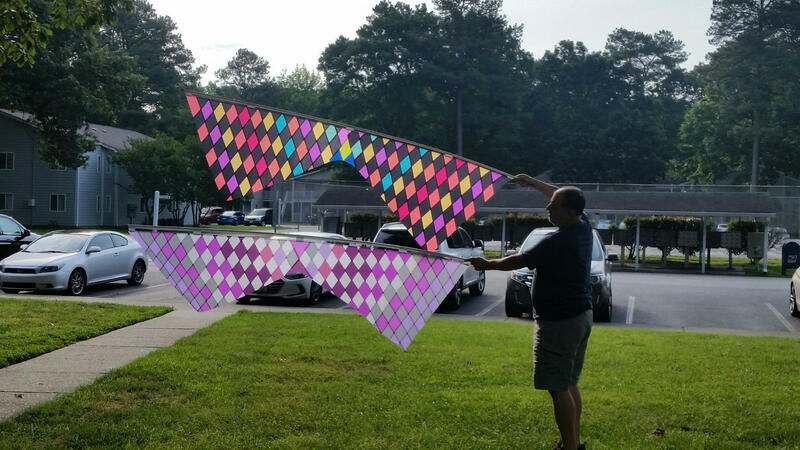 Starting to see the final image.. (This one is unlike my others in that is it symmetrical) That pattern isn't offset like usual.. After conferring with the owner, this kite will be named "The Hive"
Surprisingly my favorite so far. Excellent name. What a honey 😍. First Panel is shaping up. Black, Charcoal and sunset fade colors.. 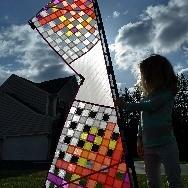 The Sunset Fade kite has been reserved..
A short clip to show Scrapestry backlit by the sun. Who is that masked man?? 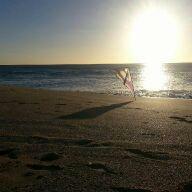 Enjoy that kite my friend..
[/url] Enjoy that kite my friend..
Had a great time flying several Riff specials! I am so happy with mine! Responded well in 6-12+ winds. 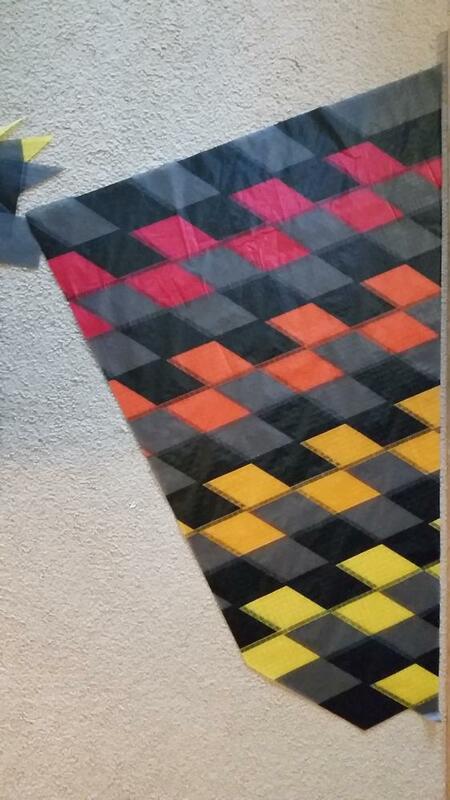 Heaviest sail in the quiver but 200 panels will do that. Double stitching, plastic in the sail tips, loads of RiffClown nuances. Has a nice deep roar when it powers up and the reflections are amazing! Five purples, two of which are no longer available! 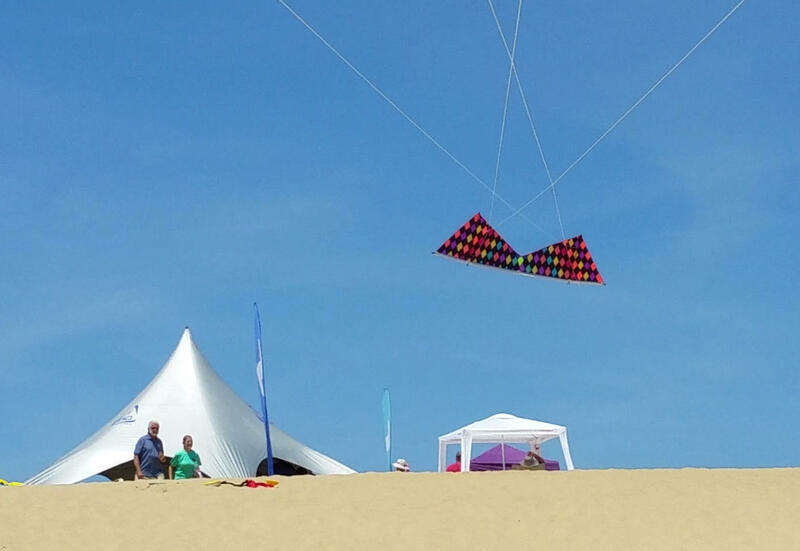 Outstanding - so let’s go fly my kite! Thanks Rob! @Mike Klaiber Sincere thanks for your feedback.. 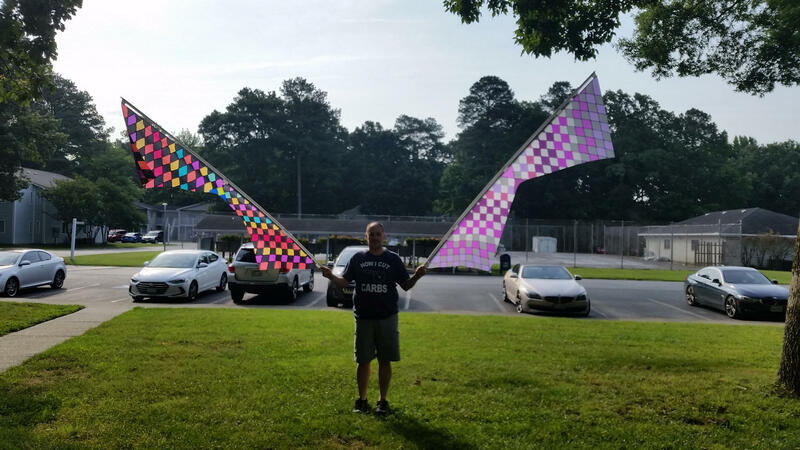 I'm extremely happy this kite found its way into the hands of a fellow Corolla Group Member.. It means I might get to fly it again!! It was as always a blast flying with you again..